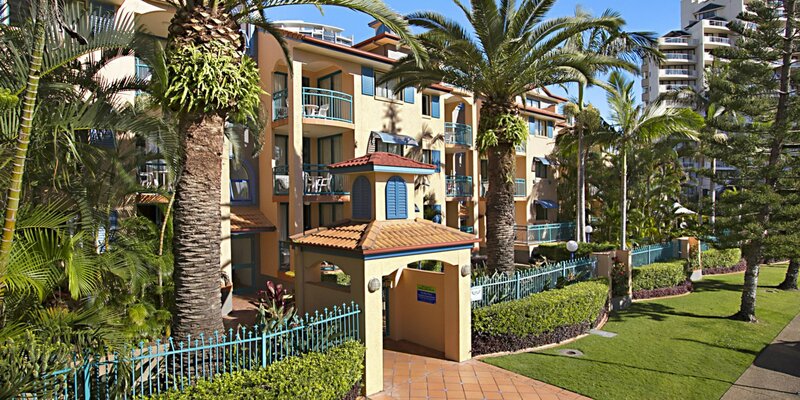 Take pleasure on a delightful family holiday at the Gold Coast. The Broadbeach family apartments at Aruba Surf Resort will not only take you closer to the most wonderful places that your family will truly enjoy but also provide you with a relaxing and stress-free holiday. 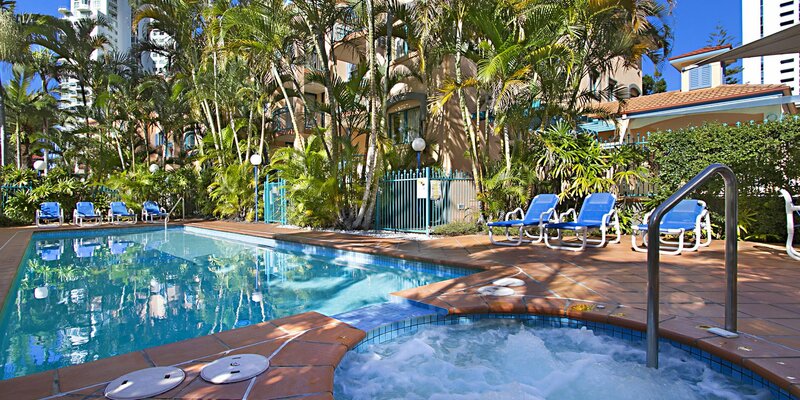 Experience the remarkable Broadbeach resort accommodation. The cosy apartment units will provide you with a soothing holiday. Aruba Surf offers 1 and 2 bedroom fully self contained apartments with bright modern furnishings, spacious lounge and dining area. 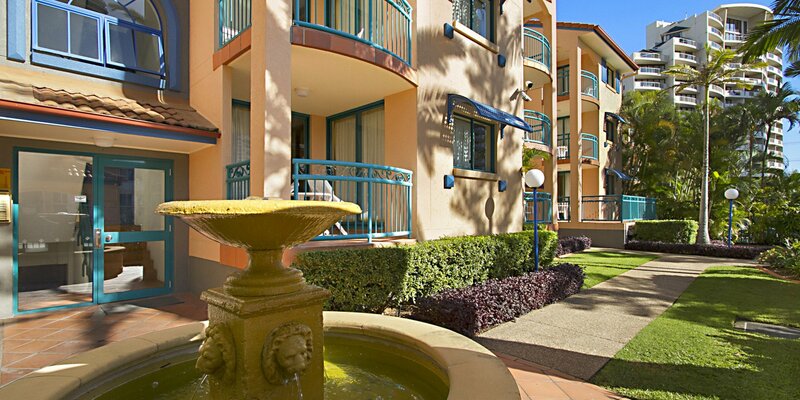 Complete and fully furnished, each Broadbeach family apartments features full kitchen and laundry facilities. You can also take pleasure at the amenities provided at Aruba Surf Resort that includes a heated outdoor swimming pool, jacuzzi, bbq area and a gym/fitness room. 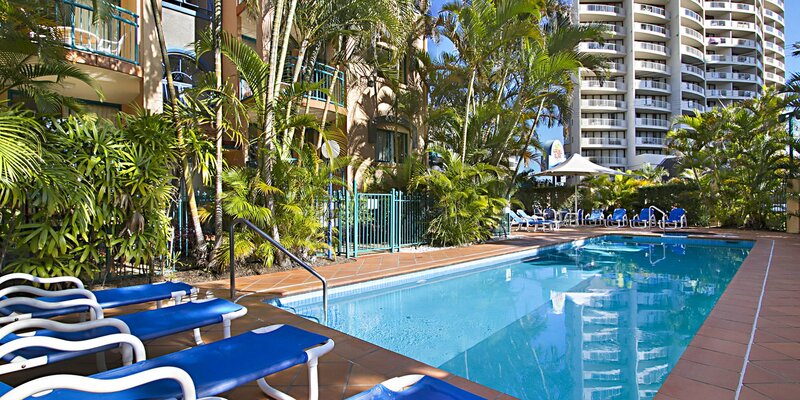 Guests at budget accommodation Broadbeach can enjoy a truly rewarding and satisfying holiday at the Gold Coast. The Coast with the Most is also home to a number of world class theme parks in the country. Tourists can have their fill of thrills as they visit Movieworld, Dreamworld, Wet ‘n Wild Water World, Sea World and Currumbin Wildlife Sanctuary. You can also spurge on a delightful retail therapy at the marvellous shopping centres around the city. The Broadbeach family apartments is conveniently located nearby some of the biggest shopping malls in region such as the Pacific Fair, Oasis and Niecon shopping centres. Guests at the Gold Coast budget accommodation can give in to their cravings as they dine in style at the most popular restaurants and cafes around Broadbeach.